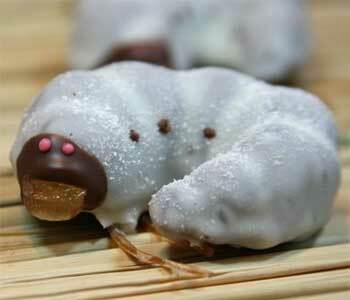 The beetle larva above is actually fancy candy made with white chocolate and orange peel. It is hand-produced by Komatsuya, a Japanese confectionery and bakery based in Akita prefecture. About 400 pieces are made per day and all are sold per online (shipping in Japan only) for 210 yen (PhP 80) each.